“Installing self-regulating devices”: Control circuits require sensors. They have to be installed in the best places for recording the desired data. Radio-based and maintenance-free sensors can be used here systematically, flexibly and cost-neutrally over the long term. “Logging the actual energy performance” of heating and air-conditioning systems: This can be done only with intensive monitoring. A closely meshed network of wired sensors would mean a great deal of effort for laying cables and for the physical and electrical mounting of the sensors. Radio-based sensors can be planned and installed much more easily. “Smartness indicator”: Buildings need to become smart(er). The trend is toward recording far more measured values than before. To do this, sensor data supplies relevant information for IoT systems in real time. Even with the classic installation of pushbuttons, temperature sensors and motion detectors, chair sensors are already providing information on occupancy. Toilet stalls can be maintained and cleaned according to use, based on sensor data. Clear requirements on the type and position of these sensors do not yet exist. Flexibility and the ability to change locations are thus key criteria on the way to sustainably smart buildings. 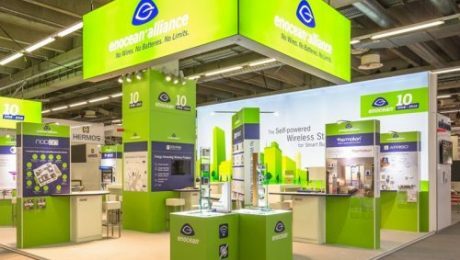 EnOcean Alliance joins its members and partners in exhibiting maintenance-free wireless sensor solutions for smart buildings and smart homes. San Ramon (USA)/Frankfurt (Germany) – February 15, 2019 – ISH is the world’s leading trade show and international industry meeting place for the responsible use of water and energy in buildings. From March 11 to 15, ISH visitors can view trends in modern bathroom design, sustainable heating and air conditioning technology as well as smart living. In this context, the EnOcean Alliance, along with its members and partners, will present applications for maintenance-free wireless sensor solutions for building digitalization and smart homes based on the EnOcean wireless standard (ISO/IEC 14543-3-10). 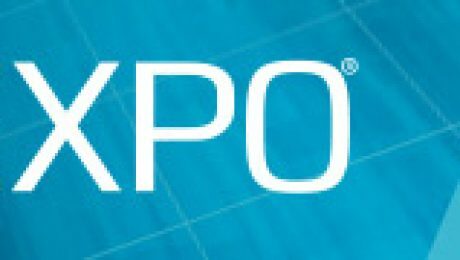 This year’s exhibit focuses on the very practical theme of “Big data in corporate real estate management.” On the “IoT Solutions Panel,” prominent companies will demonstrate hands-on examples of how EnOcean-based solutions can be implemented in corporate real estate management and the benefits that building operators can expect to gain. 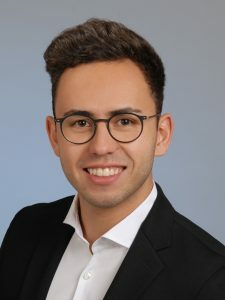 IoT experts from Microsoft, T-Systems, Piepenbrock, Thing-it and IBM will report on current pilot projects for digitalizing commercial business spaces. These presentations are exclusive to ISH and will take place from 10:00 am to 4:00 pm, respectively, at the EnOcean Alliance booth (Hall C60, Booth 10.3): Microsoft (March 11), T-Systems (March 12), Piepenbrock (March 13), Thing-it (March 14) and IBM (March 15). Another central topic is the amendment to the European building directive (EPBD), whose stated goal is to make all buildings within the EU CO2-neutral by 2050. 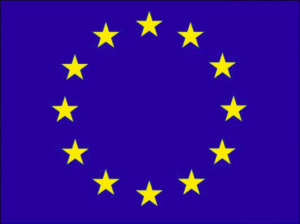 The member states are called upon to adopt the necessary legal and administrative regulations by March 2020. The EPBD focuses explicitly on technical building equipment as well as on regulating and controlling these systems. It imposes a series of stipulations on “self-regulating devices” and “digitalization of the energy system” and for the first time mentions a “smartness indicator,” which is yet to be defined. The EnOcean Alliance experts explain what these requirements mean in the context of building automation and holistic energy-efficient operation and how future-oriented system solutions based on the EnOcean wireless standard can be implemented. 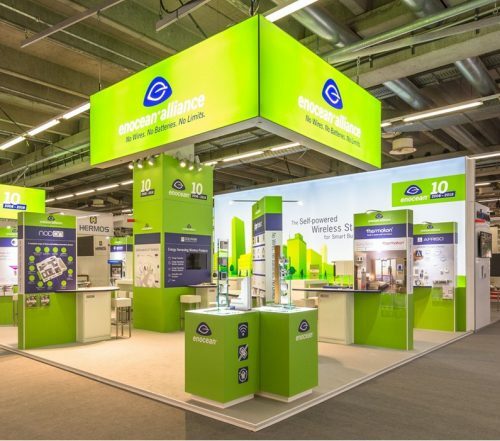 Not least, ISH visitors to the EnOcean Alliance joint booth can learn about the latest trends in the smart home as well as in lighting and window control. Experts explain the differences between smart products and smart homes. They also demonstrate how builders, tenants and administrators/property managers can benefit from professionally installed and maintenance-free system solutions with a view toward energy efficiency, comfort and security. Representatives of the following companies will join the discussion: AFRISO-EURO-INDEX, BECKER Antriebe, BSC Computer, DEUTA Controls, Decelect, Digital Concepts, Eltako, EnOcean, Micropelt, Honeywell PEHA, LAE Engineering, Overkiz, PM DM and ViCOS. In addition, more than 30 other exhibitors will be showcasing EnOcean-based solutions at the trade show. The EnOcean Alliance is a global network of more than 400 companies in the building sector. It develops innovative maintenance-free wireless solutions for sustainable building automation based on the EnOcean wireless standard (ISO/IEC 14543-3-10). More than one million buildings all over the world now have wireless networks of this type, making EnOcean the international reference technology when it comes to wireless standards for building automation. The EnOcean ecosystem of self-powered wireless sensor solutions currently consists of 5,000 product variants that build on 1,500 basic products, with new ones being added all the time. Thanks to their standardized sensor profiles, the products can be combined with each other. These interoperable system solutions lower installation and maintenance costs and provide significant benefits when it comes to energy efficiency, security and comfort. In addition, the data generated with the aid of the self-powered wireless sensors can be integrated into IoT solutions (sensor to cloud). San Ramon, CA, USA – January 22, 2019 – The EnOcean Alliance and Eltako strengthen their collaboration and work together to promote the development of smart building solutions based on the EnOcean wireless standard. Headquartered in Fellbach near Stuttgart, Germany, Eltako has stood for experience, expertise and quality in developing and manufacturing innovative products for building installation and control technology for more than 70 years. 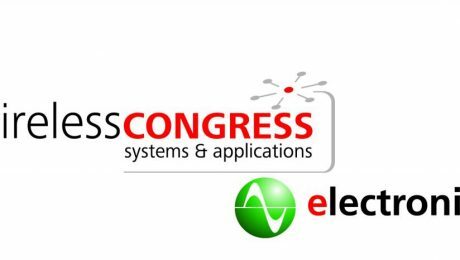 Eltako Smart Home Professional – the smart system in buildings – is based on the global EnOcean wireless standard. The self-powered and thus maintenance-free radio switches and window/door contacts with energy generators are exclusive EnOcean highlights. Eltako carries a total of more than 300 innovative wireless products as well as an extensive range of switches in four design lines based on the EnOcean technology. The EnOcean wireless standard (ISO/IEC 14543-3-1X) on the sub 1 GHz band is an excellent choice for use in buildings, thanks to its range of up to 30 meters. 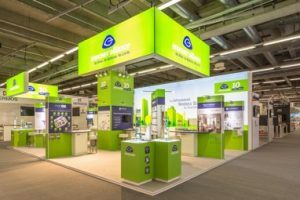 The EnOcean Alliance, which has more than 400 members worldwide, is one of the most successful alliances in the area of smart building control. 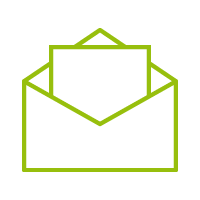 The non-profit organization standardizes and develops intelligent building solutions with integrated energy harvesting technology. Its Board of Directors brings together representatives of leading international solution providers in the areas of building automation, the smart home and the Internet of Things (IoT), including BSC Computer, Digital Concepts, EnOcean, IBM, Honeywell, Vertuoz by Engie and Vicos. “Eltako has belonged to the EnOcean Alliance for ten years now and is currently one of the leading players in our ecosystem. The company has extensive experience in using the EnOcean technology, which makes smart homes and intelligent buildings safer, more comfortable and more energy-efficient as part of complete solutions. 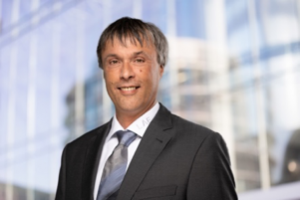 On this basis and with its clear endorsement of the EnOcean wireless standard, Eltako is an ideal addition to our Board of Directors,” explains Graham Martin, Chairman and CEO of the EnOcean Alliance. EnOcean Alliance is giving a seminar “The IoT radio standard for cognitive, flexible and multi-purpose buildings” at the event on November 7th, 2018 start at 12 o’clock, showing the technology and latest developments and deployments: 21st-century building must be multi-use, hybrid, modular and replicable. The reconfiguration of spaces to be almost instantaneous. To meet this demand, it is imperative to overcome all wiring in the walls and have completely modular sensors and transmitters. This induces wireless solutions and ideally without a battery because even with autonomy close to 10 years for some sensors it is just inconceivable to anticipate changing a billion batteries in buildings. Interoperability and security are also key criteria. As many criteria, the EnOcean standard knows perfectly meet. Introducing the technology ecosystem and case study in residential buildings, offices, hotels, etc. This new edition of IBS is part of a process of reflection and exchanges to promote a European vision of Energy and Building Management Building “resilient, inclusive and connected” through a comprehensive range of services to occupiers. Furthermore, the opportunity to accelerate the development in the field of Smart Building being identified as a major player in this fast-growing sector.